Photo challenge: together — as a trio — they’re an even more incredible sight. 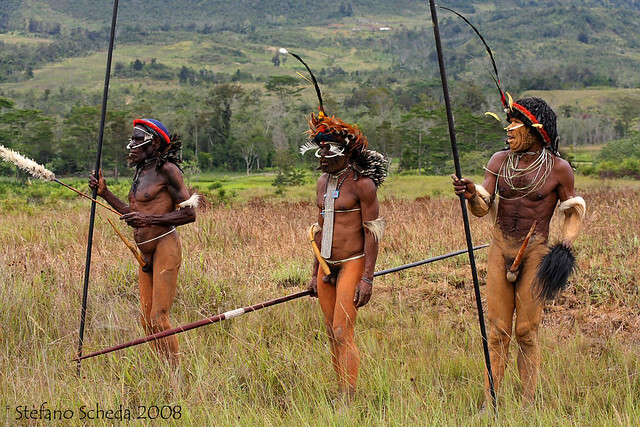 Warriors at Baliem Valley Festival – Wamena, Irian Jaya, Indonesia. What an incredible shot! You are so fortunate to have seen these people dressed like this. I was told it was quite rare to see this. Those are festive dresses. Each year the Baliem valley people gather together for their festival. Fascinating image, Stefano. I can imagine how great it was to be there. Thank you, Jane. Yes, two days full of dances, parades and celebrations.